The Gran Hotel Atlantis Bahía Real is situated in one of the most attractive corners of the island, on the edge of the Dunes of Corralejo Natural Park with 3,125 acres of finest, constantly moving white sand. H10 Ocean Dreams Hotel Boutique - Adults Only is situated in one of the most tranquil areas of the city of Corralejo. The H10 Ocean Dreams Hotel includes an accessible room with a wheel in shower. The pool contains a pool hoist making your holiday more enjoyable. The Atlantis Fuerteventura Resort Suite Hotel is situated in one of the most popular resorts on the island where guests are offered one of the best beaches in the world. This thought to be one of the best hotels in the area. 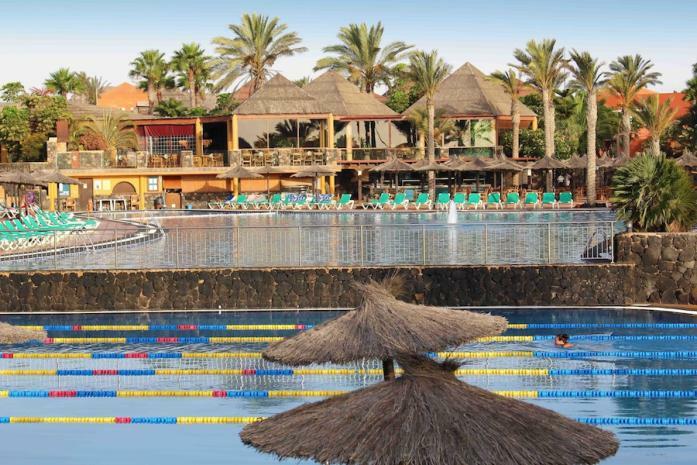 The Barceló Corralejo Bay is hard to fault, with customer satistaction being very high. This modern hotel offers high quality service and comfort for a relaxing and enjoyable stay. 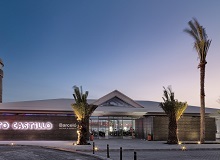 Corralejo, Fuerteventura - 4 Star. Some rates at H10 Ocean Suites are all-inclusive. These rates include onsite meals and beverages, and may include taxes and gratuities. Additional charges may apply for meals at some restaurants, special dinners and dishes, certain beverages, and other amenities. 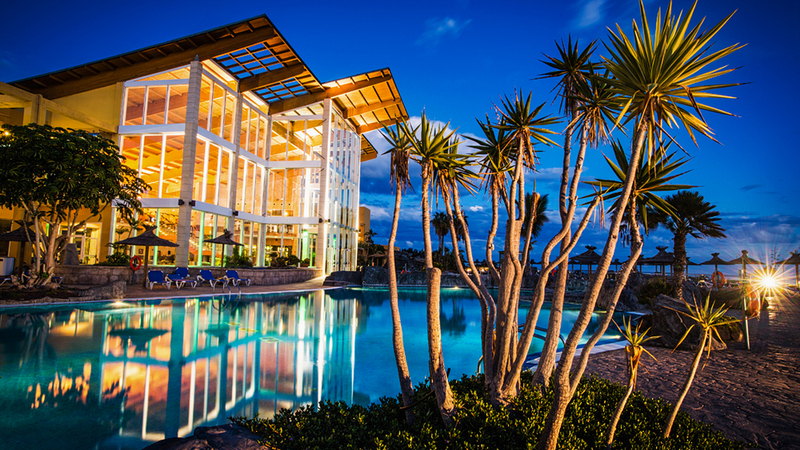 Bahia de Lobos is a modern Hotel in the center of Corralejo in Fuerteventura and is within walking distance of the little and local beach of Corralejo and only a 10 minutes – 4 km drive from the famous Corralejo Dunes. Corralejo, Fuerteventura - 3 Star. A unique complex of villas in a privileged location combining traditional offerings for families and an extensive range of sports facilities and amenities to ensure an enjoyable stay to suit all ages. Costa de Antigua, Fuerteventura - 3 Star. 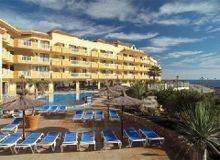 The Globales Costa Tropical Apartments are located in the centre of the island of Fuerteventura, in the peaceful residential area of Costa de Antigua. Each room at this hotel is air conditioned and features a flat-screen TV. Certain units have a seating area where you can relax. Certain rooms include views of the sea or pool. For your comfort, you will find free toiletries and a hair dryer. All 356 rooms offer WiFi, furnished balconies, and flat-screen TVs ...etc.